The E3 conference has just passed, with big announcements from Sony, Microsoft and Bethesda. The general consensus is that Sony has stolen the show with Shenmue 3 and the long awaited Final Fantasy 7 Remake. Sony also displayed the progress of the Morpheus Project. This project intends to compete with Oculus Rift in the VR gaming future. 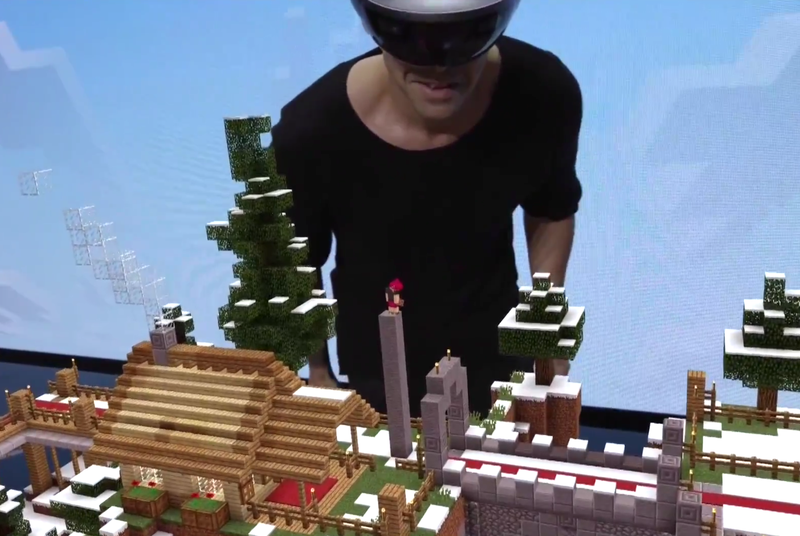 The Morpheus project hasn’t made any great leaps as of yet and was overshadowed by the HoloLens Minecraft demo, which amazed the crowd. Microsoft also stated that it would be partnering with Oculus Rift in order to get the xBox One controller to inter operate with the consumer version of the Oculus Rift. The HoloLens demonstration was facilitated with a specialized camera to show the crowd how it appears when wearing the Oculus Rift. The Minecraft world was voice activated and then appeared in 3D on the table infront of the user. The demonstration showed how the player could zoom in, rotate and interact with the world. Moreover there are several voice commands, which could be used to further ease game play. The future of VR gaming is coming soon to consumers and the expectations are high. The HoloLens integration with normal xBox players gives a new feel to multiplayer gaming and the applications for FPS(First person shooter) and RPG(Role playing games) are exciting. Another highlight of the E3 conference with Rift was the reveal of the touch controller. These controllers are held in both hands with two buttons on the controller. The touch controller is able to track hand and even finger movement. The touch controller however will be sold separately and will be released only in mid 2016. All in all the VR gaming industry is making innovative changes and will soon be available for consumers. The E3 conference was a great success with consumers sitting on the edge of their seat.